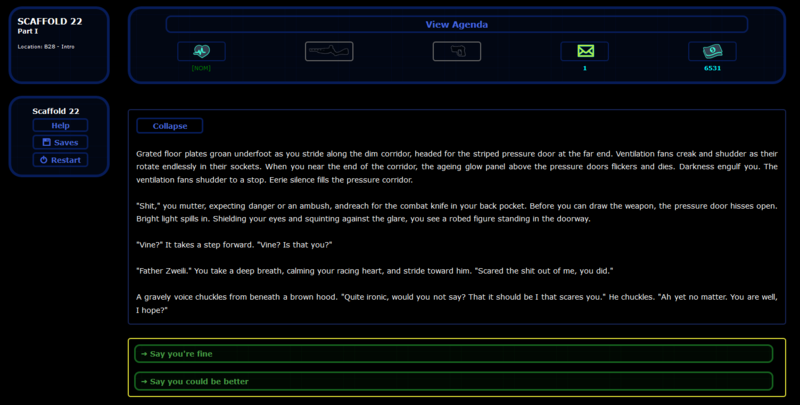 Scaffold 22 is a web-based interactive story set in the distant future. You take on the role of Vine, a former mercenary lieutenant turned abomination hunter, on a quest unravel an ominous conspiracy. 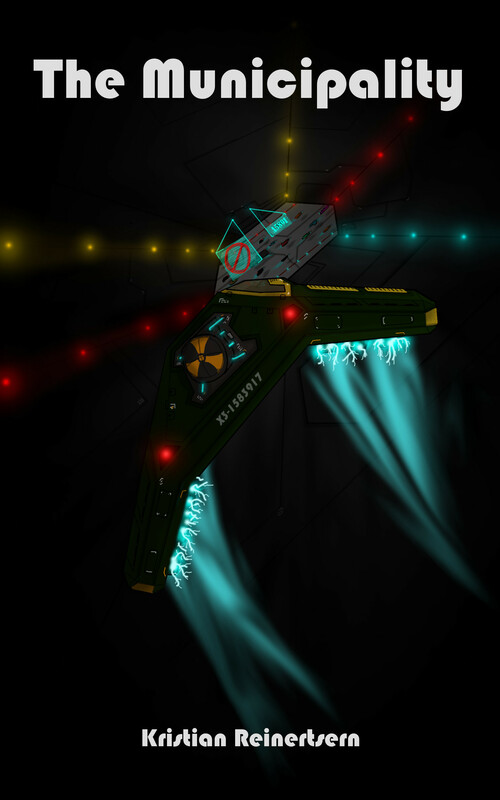 The game can be played by visiting the homepage listed on the profile. In the distant future, War Mistress Arele of the Matriarchy is sent on a last, suicide mission against their great foe, the Municipality. Disgraced and captured by this vile, sexually active offshoot of Humanity, Arele struggles to endure in a world she finds both alien and revolting. At the same time, the party girl Cora is drafted into the Municipality Expeditionary Force. Bitter and disgusted, she struggles to enjoy her last days of freedom, before she is sent off to die on some nameless rock, for a cause she doesn’t even believe in. Little do Cora or Arele know that their plights are about to become entwined, as events beyond their control plunge their lives and world views into chaos. Less joyous is the news that I am going to have to put the Scaffold 22 project on hold until further notice. At present, it's simply more economic to write and publish traditional fiction in my spare time than finish up this experience and prepare for an improved mobile release. I still remember that afternoon I realized artwork was going become a major part of Scaffold 22 and sat down to sketch out the Riptide flavor image. Never imagined that would lead to this illustrated narrative with musical scores, context sounds, animated combat, improved UI and all the other little details that ended up going into the final product. 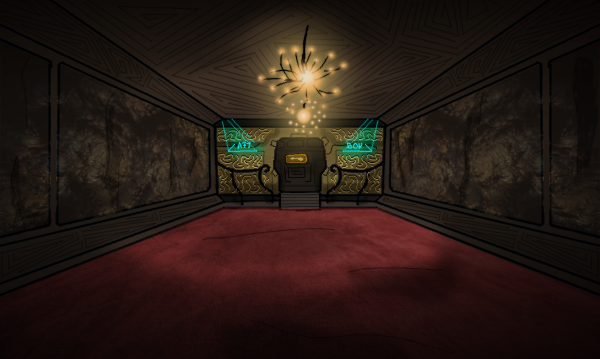 Long story short, it was a joy to work on and I'm hoping that, in the future, I'll be able to revisit both Interactive Fiction and Game Design, either as part of the Scaffold 22 project or with a new endeavor. Announcing the release of patch 1.1 and an upcoming content extension for Scaffold 22. Announcing the version 1.0 release of Scaffold 22. 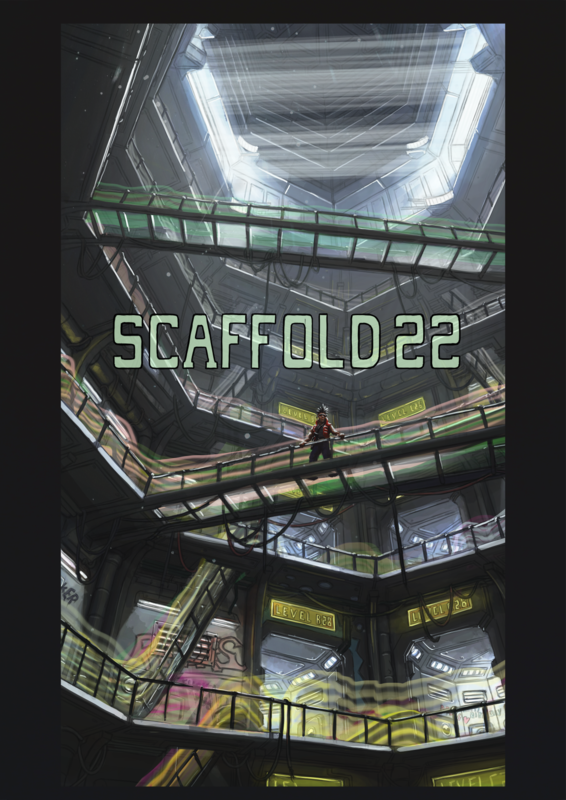 In which I officially announce Scaffold 22's final beta and invite you to playtest this expansive Cyberpunk RPG. Introducing the Highborn archetype and examining the gameplay mechanics of Scaffold 22 in more detail. This game is so Cyberpunk. So schway. How can I support this game? More people must know this game. Must. This game is fantastic. 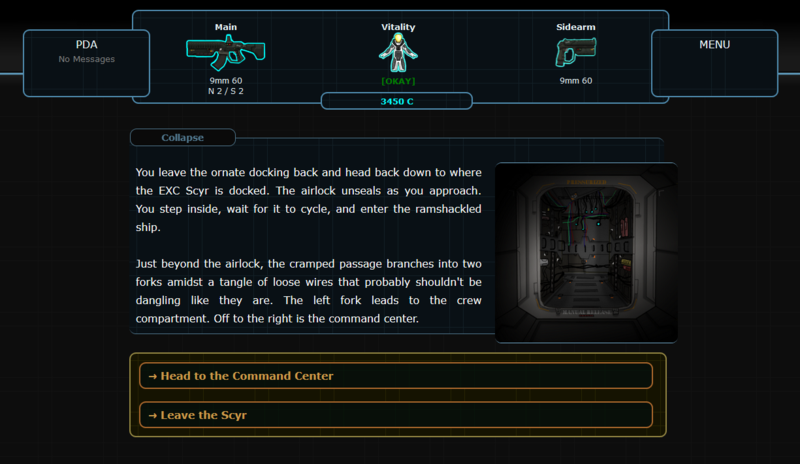 It's the best Cyberpunk HTML5 game out there. The backstory is phenomenal. I want more of this. Lots more. This can compete with the likes of Shadowrun and Cyberpunk 2077 in terms of lore. You're having trouble with this project? Is there any way I can help with this? Love this project. Love it. I don't know if this is the right place to ask but i'm having a bit of a problem. Nothing bug related though. So i had this neurointerface node thing installed, so i could go to the EPROM club and do some investigations for the sidequest. But now Anska refuses to talk to me because i apperently am too much of a machine now and she tells me to remove it. I'd like to do that, even if just to talk to her about the main and a side task, although i wouldn't mind keeping it or reinstalling it right after. I can't figure out where i could get this thing removed though. Funny enough, SHE was the one that sold me that node thing in the first place but whatever. But so far, gotta say, this is pretty top notch quality for a completly free game. I had a dig at a text adventure game, also trying to do the whole cyberpunk thing, that actually costs real money and it was the most linear crap and would not let you do much other than EXACTLY what it wanted you to do AND it had a lot more spelling mistakes than this game. Anyway, any help would be appreciated, thanks. This appears to be a (admittedly very annoying) bug. Neuronodes and cyberskel were incorrectly flagged as visible cybernetic implants. Unfortunately, there's currently no way to remove them as the nodes were not intended to block access to Anska. Will be fixed in the next release. If you find any more issues, please do report. And glad you're enjoying the game! Turns out it IS bug related. Oh well, i hope it won't get in the way too much until the next release. It will probably block a rather major mission unless you take a specific alternate path. So I've uploaded a quick (and stupid) workaround. If you have neuronodes installed and go to your apt, then listen to music, it will remove the augment. This will allow you to speak to Anska again. Bit of a hacky solution but it should solve the immediate problem. Okay, i'll check it out. By the way, i discovered another bug. After you deal with the problem Cel has with her supplier, she can bring it up if you have a conversation with her at her place. Problem is, you have nothing to select to get out of the conversation. I got around it by refreshing the page, which gave me another randomly selected piece of conversation that let me exit out of it. Edit: Tried it out but i still have the aug installed. I've been having a bit of a problem with the game. This time it's really nothing bug related. Basically, i kept getting into situations of finding weapons i'd like to take. But that ment abandoning my current primary weapon, or reloading a previous save file only so i could store my primary weapon and hope the same event happened again the same way. So yeah, thats my biggest problem, besides not being able to talk to Anska, losing my weapons all the time for different ones, that work differently and having no easy way to store them before getting the new ones. Edit: Just found another bug. You can't use the service of the cryolounge since you'll get stuck in saying something along the lines of "I'd like the basic treatment" over and over, because selecting the only option "lean back and relax" loops you back to the same piece of dialogue as before. Love the game though I really don't understand how the whole hacking thing works. The re-released version is awesome: I love the new stuff. Hacking is a work in progress; it's supposed to be a minigame but at present the puzzles are just ASCII strings converted into various encoding formats (binary, hex, base64). It needs a rework.